Shouryagarh Resort & Spa helps you connect to the culture and heritage of Rajasthan and its impeccable hospitality ! Relive the romance and the glory of Udaipur’s colorful past , pulsating with architectural grandeur and rich history. Shouryagarh Resort & Spa in Udaipur invites you to a world of lavish luxury and tranquility which will undoubtedly make you feel like a king. Our courteous and ever so friendly staff will make you feel “a home away from home”. The leisured and the royal entertainment keeping with the spirit of Rajasthan all add up to offer a charming holiday experience in the city of lakes, Udaipur. 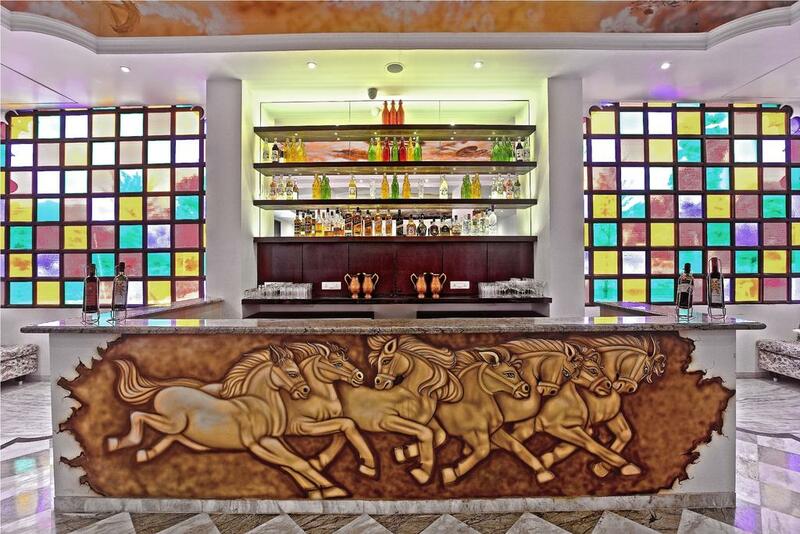 Banquet Facilities, Catering, Family/Child Friendly, Conference Hall, Bar, Room Service, Disabled Facilities, Currency Exchange, Restaurant, Business Facilities. Refrigerator Room, Child Care, Curtains/Shades, Iron/Ironing Board, Window Opens, Moisturiser, Smoking Rooms, Balcony / Terrace, Complimentary Newspaper, Desk. User reviews for "Shouryagarh Resort And Spa Udaipur"